Church of the Big Sky: And now, McCloud, too?!?! This has been a tough weekend for vintage TV Hollywood. 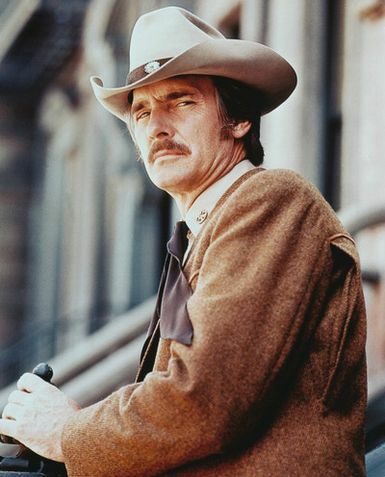 Now, Dennis Weaver is gone, too. Adios, McCloud. Happy trails to ya. I always heard celebrity deaths come in threes. I never saw them come so quickly and so concentrated in a sub-segment of the entertainment industry like this though. I guess all the other old and ailing TV stars can breathe easier for now - until the next set of threes start. It's so weird to be old enough that I remember these people when they weren't old. Creepy. Hail and farewell, McCloud. TVLand is doing an Andy and Don Knotts marathon tonight and coming up during the week. Yep. Threes.